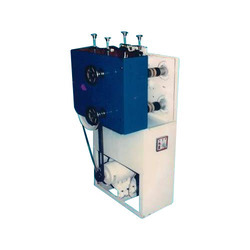 We are one of the prominent manufacturer, exporters and suppliers of a quality-compliant range of Packaging Machines. This range is manufactured using finest quality raw material in tandem with set industry standards of quality and performance. Our clients can avail this range at industry leading prices. 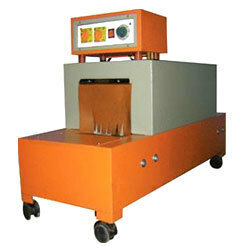 Avail from us Tape Slitting Machines in desired shape and production capability as desired by the client. Equipped with motorized machines for slitting, this range delivers energy efficient performance. It also features a cutter that rotates and slits the Perforated Gum automatically. The slitting section stands on a mobile platform for greater flexibility. Our clients can demand this range at market leading prices with us. We offer Shrink Packaging Machines to our clients so that they can carry out functions of shrinking and sealing for the packaging of products with improved efficiency. This range is demanded widely for packaging diverse products like gift items and utensils. We make use of finest quality raw material and design it in various configurations to suit varied requirements of our clients.